Hello Tractor connects tractor owners to farmers through IoT-enabled digital solution that bridges the gap between manual and mechanised farming. Photo courtesy. Hello Tractor, a Nigerian agro-tech firm has partnered with Technical Centre for Agricultural and Rural Cooperation ACP-EU to expand its services across Nigeria and Kenya and connect 5,000 smallholder farmers to mechanisation services and booking agents via Internet-of-Things (IoT). Despite the benefits of tractor mechanisation, cost and access have been key impediments to its widespread adoption, farmers across sub-Saharan Africa face some of the lowest rates of mechanization. 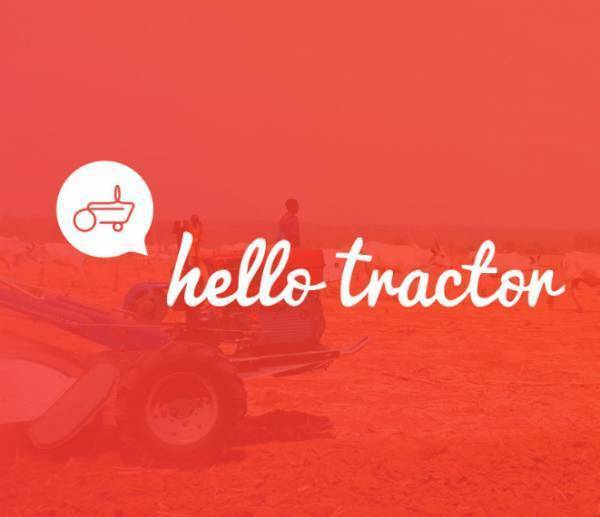 Hello Tractor connects tractor owners to farmers through IoT-enabled digital solution that bridges the gap between manual and mechanised farming. The service enables farmers to request affordable tractor services, while providing enhanced security to tractor owners through remote asset tracking and virtual monitoring. Through technology, the company is creating sustainable business opportunities for compact tractor owners, while ensuring smallholder farmers have affordable and convenient access to mechanisation services. “We are delighted to partner with Hello Tractor in expanding its innovative digital platform to reach a large number of users that will contribute not only to modernising smallholder agriculture and increasing productivity but also to attracting young people to agribusiness in Africa,” said Michael Hailu, Director of CTA. “We are excited to work with CTA to improve the delivery of mechanisation services to smallholder farmers. Through this collaboration, we will identify, train, and grow the number of youth serving as booking agents on serving farmers. This partnership will grow demand for tractor services through targeted digital initiatives aimed at better coordinating the market," said Jehiel Oliver, founder and CEO of Hello Tractor. Hello Tractor was awarded a grant following a CTA call for proposals for ICT-enabled mechanisation in Africa. The call for proposals was issued to explore and implement initiatives to support the effective use of digital technologies for agricultural transformation in Africa.